This drought-tolerant, adaptable shrub is found in open woods, lake shores, stream banks, and rock outcroppings. Its papery bark continually molts in thin strips, revealing multiple layers of reddish to light brown inner bark. 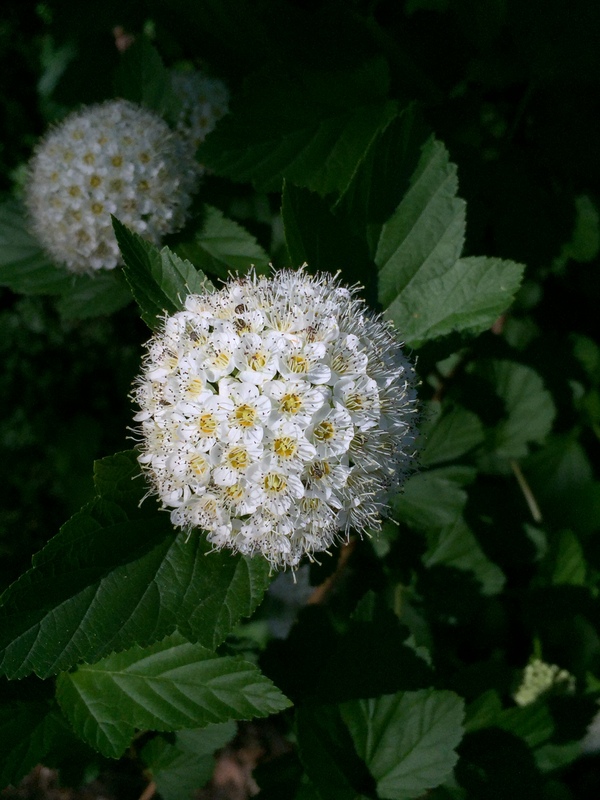 This entry was posted in MG in the Garden, Tried and True Native Plant Selections for the Mid-Atlantic and tagged Ninebark, Physocarpus opulifolius, shrub, Tried and True Native Plant Selections for the Mid-Atlantic. Bookmark the permalink.